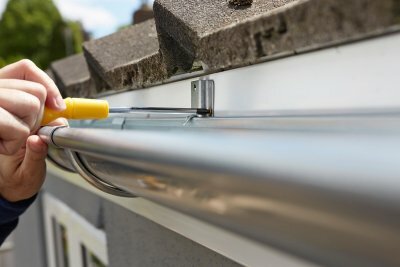 Should You Replace Your Gutter System? 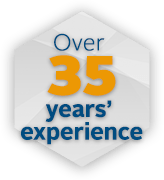 When you schedule roof replacement in Redmond , you’ll have the opportunity to make another improvement to your home—gutter replacement. Replacing your gutters will help to keep your new roof in the best condition possible and prevent the need for premature roof repairs. Continue reading to learn a few signs that indicate it’s time for gutter replacement. One of the top signs that indicate you should replace your gutter system is damage to the gutters themselves. After you schedule roof replacement, inspect your gutters. If you notice cracks in the gutters—even small ones—it is best to replace them. Cracked gutters can cause damage to your home and roof. You should also check for sagging gutters and gutters that pull away from the side of your home. These issues can indicate that the gutters have become clogged and are full of water and debris. Have you noticed pools of water near your home? Properly functioning gutters direct water away from your home so that it cannot damage your foundation. When gutters begin to fail, they no longer keep water away, so you may notice puddles near the side of your home whenever it rains. Mildew on the side of your home or foundation can also be a sign of failing gutters, as can water marks directly beneath your gutters. When gutters leak, the water may damage the paint on the side of your house or on the gutters themselves. If you are wondering if you need to replace your gutters along with your roof shingles, check your house and your gutter system for peeling paint. You can also look for orange flecks on and around the gutters—these are pieces of rust and indicate that your gutters have suffered water damage. These signs indicate that gutter replacement is needed.